Growing Communities of Scientists: Gained Access! 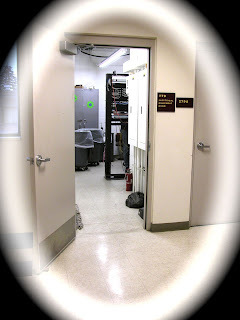 Here it is... the fabled tech closet, and I'm in like Flynn! Sixteen e-mails and I gained access! And, thanks to Cody from the district, the switch is now wired to all the drops in my science classroom. 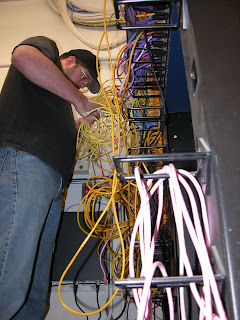 The server will be the bridge between my class LAN and the building LAN so the cheapo Netgear switch need never be seen by 'the network'.